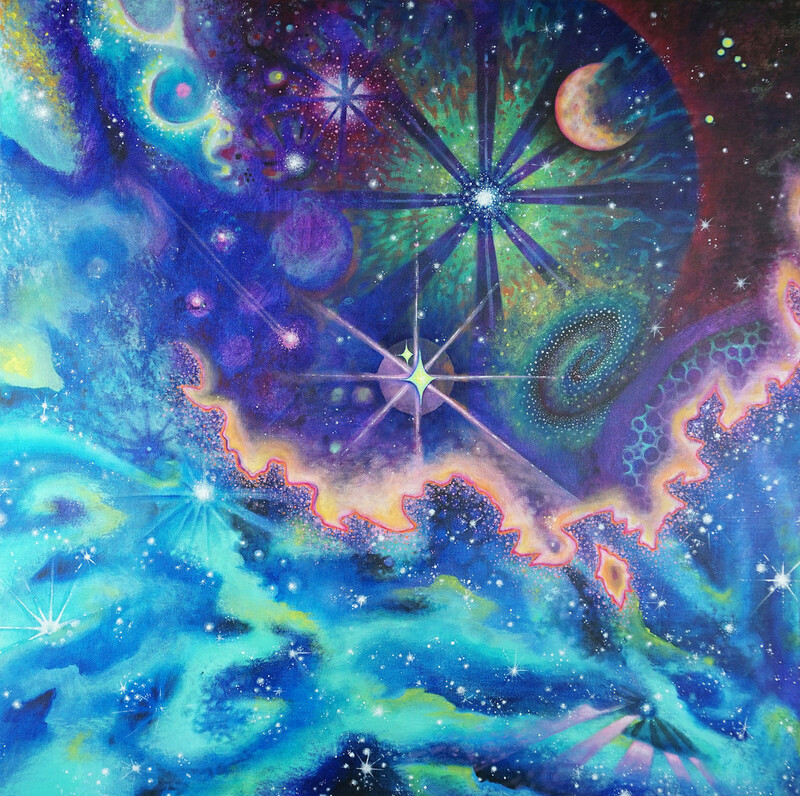 "Cosmic Love" takes us to a timeless outer space. Enter a void of forgotten worries, be reminded of the infinite possibilities, and acknowledge that this precious space reachable within us all! We are a pART of all the pARTicles that make up this YOUniverse.